Your pets thrive on routine and familiarity. Their home is their sanctuary, and some animals simply get nervous when boarded at a kennel. 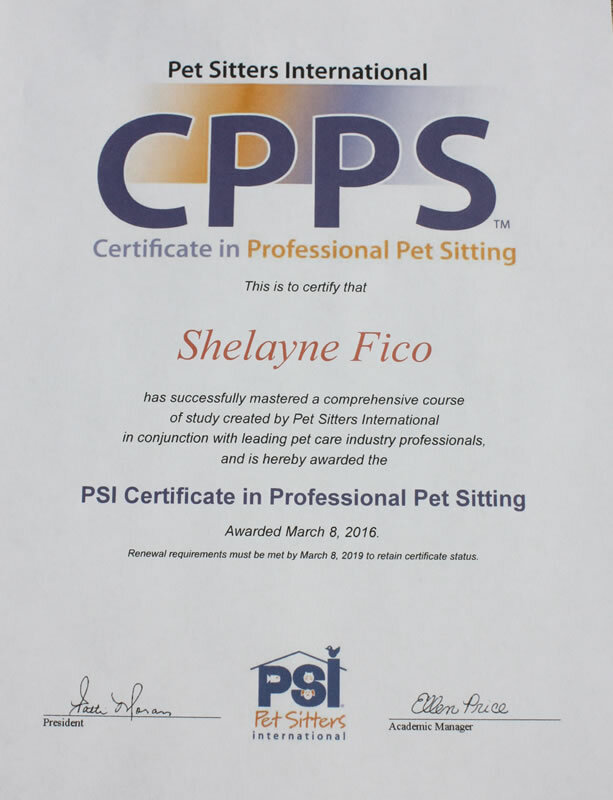 Hiring our pet sitting service can alleviate that nervousness while guaranteeing that your pets get the food, medicine and attention that they're used to throughout the day. Your pet will remain in the comfort of their home, safe and happy. Can You Administer My Pet's Medication? 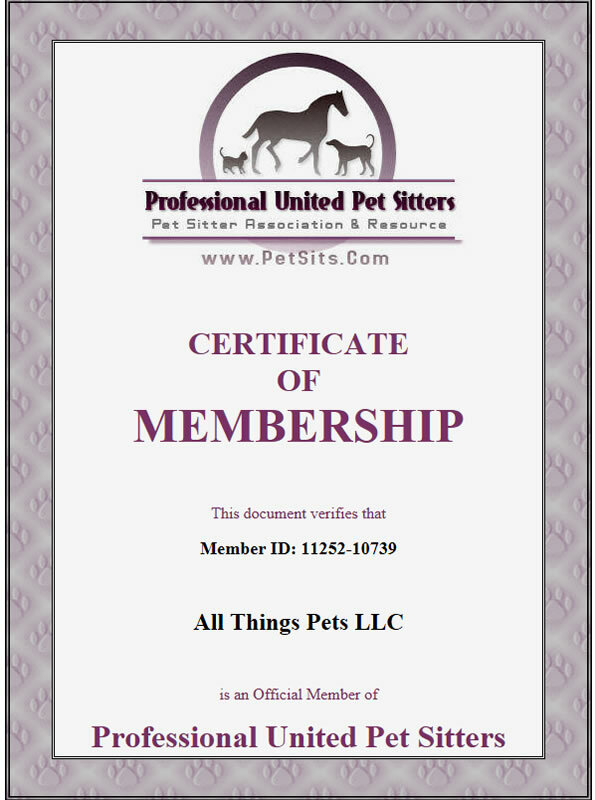 All Things Pets LLC pet care providers are not veterinary professions but we are able to administer medication to your pet(s) after you fill out and sign our “Permission to Administer” medications form and notify your veterinarian of the same. We will leave you a copy of our Pet Medication log. 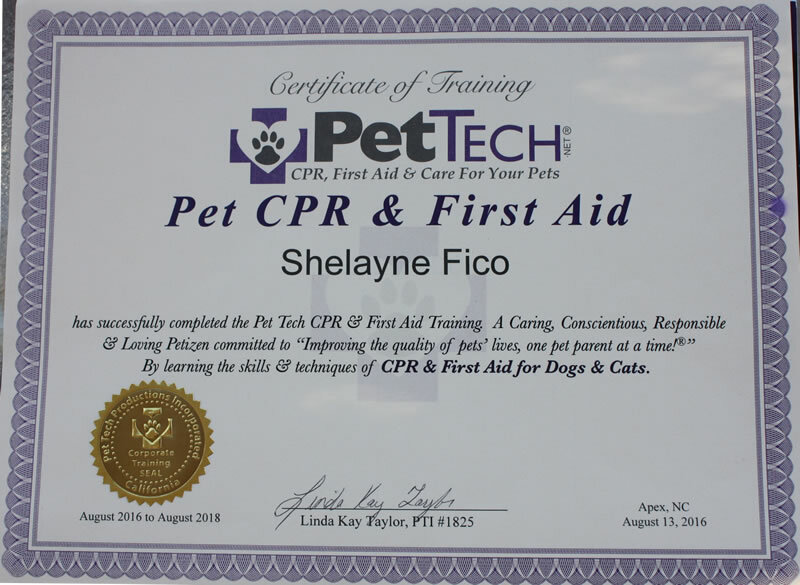 This may include but may not be limited to injections subcutaneous fluids, heart-worm medication, flea infestation medication, antibiotics or topical ointments, drops for ears, etc. Do You Provide Special Care for Senior Pets? Smaller dogs are considered seniors when they reach ages seven or eight, and larger dogs are considered seniors around age five or six. It can vary depending on the breed. Common health problems for older dogs include arthritis, dental disease, kidney problems, cancer, heart problems and more. One of the most common ailments we see in aging dogs is incontinence. We understand this is not something your pet does on purpose and we have no problems with cleaning up the mess in a loving, caring manner. Cats are generally considered seniors around age seven. Common problems in older cats include hyperthyroidism, kidney disease and arthritis. A number of the pets we care for fall into the senior category. Some require medicine daily, some from time to time. 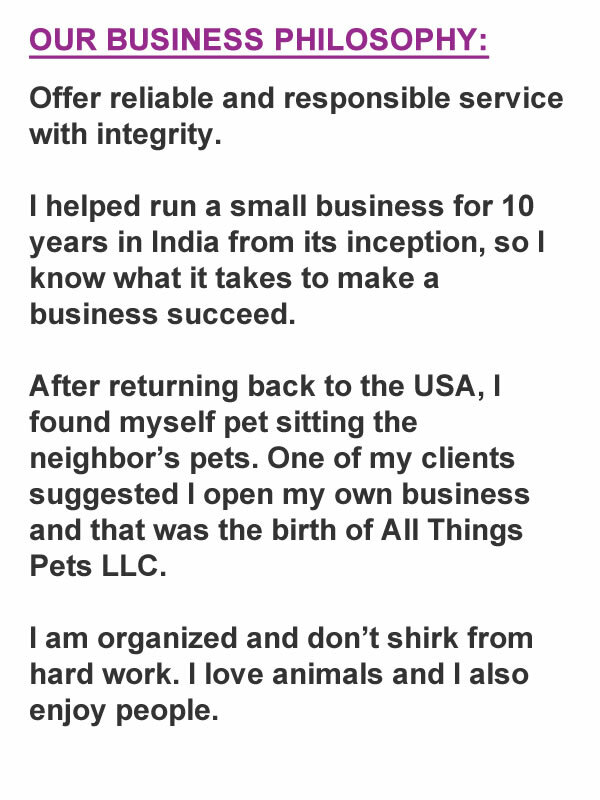 Do You Take Care of Exotic and Unusual Pets? 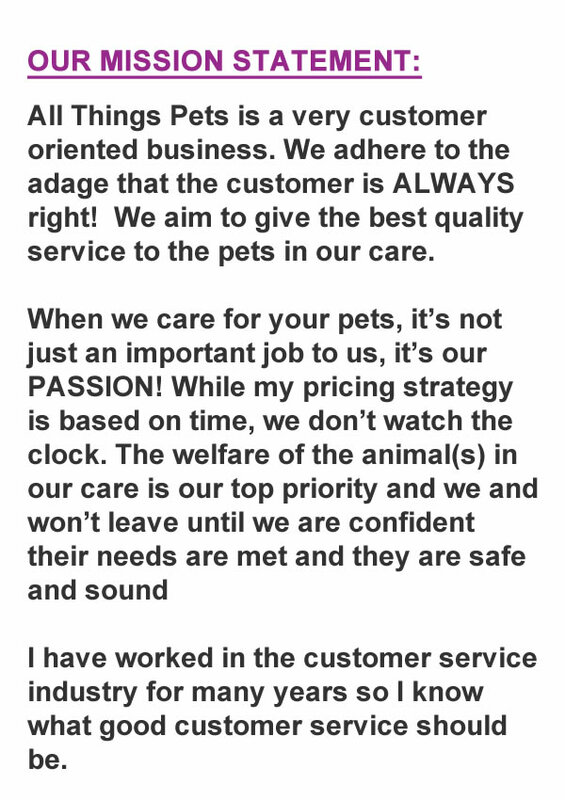 We have no problem taking care of most pets. We own two senior dogs, one toddler Siberian Husky who we have owned since she was six weeks old and a senior cat. We also have chickens and ducks. We also care for so called "bully breeds" dogs. We have cared for a number of Boxers, Pitbulls, and Rottweillers. We do not discriminate against any particular breed.